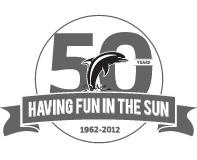 We are unveiling our new Dolphin Swim Lesson program this season. Please read the back side of the registration form or see the Swim Lessons link to see the different Dolphin levels and choose your child’s class. Sign up early! Meeting the deadline date guarantees your child a swim lesson spot, provided we meet our minimum number needed to make the class. Paying after the deadline will allow you to sign up, but won’t guarantee your spot. We strive to provide flexibility in our lesson sessions that will meet everyone’s planning needs. Please follow the instructions on the registration forms. Want to sign up for the entire Summer? Go ahead! It’s all on one form now! Registration forms available HERE.